UPDATE: This morning's Middletown Press contains a column from Atty. Norm Pattis, the topic of which falls in line with that of this post. 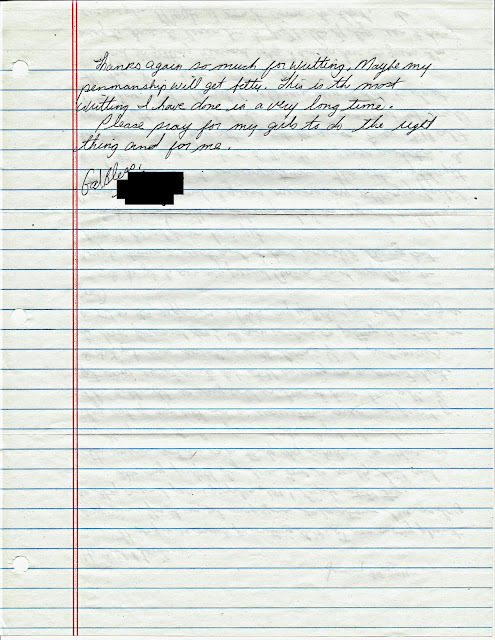 He writes, "Prisoners live hidden lives, out of view, out of sight and, for the most part, out of mind." It can be seen, here. Most of us likely don't know anyone who is incarcerated, much less do we correspond with someone who is. 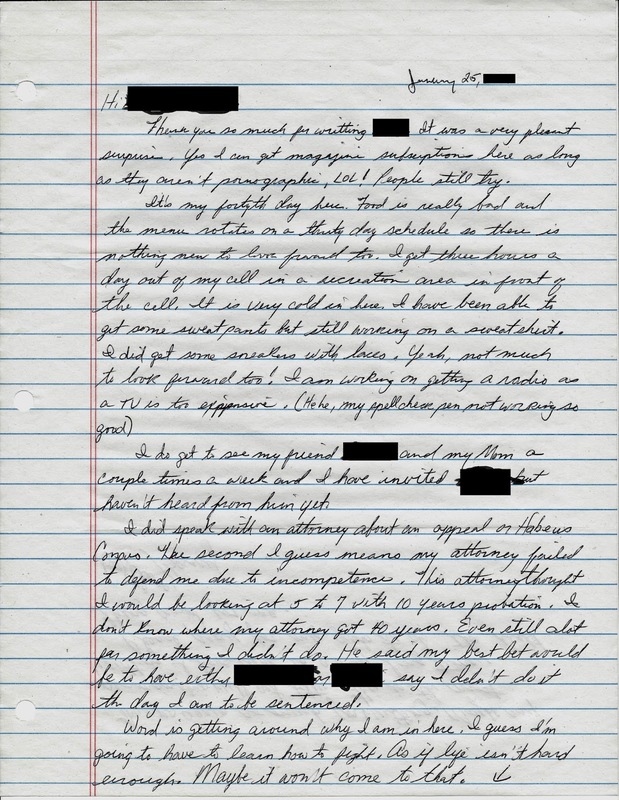 This is the first in a series of letters written by someone who is currently in the custody of the Connecticut Department of Corrections. These letters are being submitted anonymously and have been, and will be, redacted to protect the privacy of the writer and the writer's family and friends. After having examined the trial transcripts and speaking extensively to others who have first hand and intimate knowledge of the matter, I am of the opinion that this person is innocent of the crime for which he was convicted, his council being incompetent and ineffective. Note: To enlarge the images, hold the control button and scroll the wheel on the mouse, forward. To access this entire series, use the search field at the top of the page. Enter exactly; "FROM BEHIND BARS" - A Series and click. Then choose "sort by date".